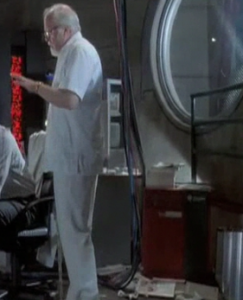 The 4D/480 VGXT type of Computers by Silicon Graphics were a type of multi-processor computing equipment present in the Control Room of the Visitor’s Center on Isla Nublar to help in displaying the many graphical interfaces present in the park for operations. In a sense the 4D/480 VGXT would be a type of server that worked in conjunction with everything else computer-controlled in the park to display the needed graphical information in the control room. As such, these server style computers were used in the day-to-day operations of the park that held a UNIX-based operating system that Dennis Nedry was in charge of working on getting the system operational for the park. 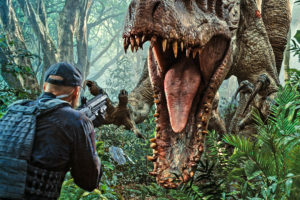 Once operational, ideally the park would operate on minimal staff due to the level of automation required for the Jurassic Park’s operating system. Other computers and computing equipment present in the Visitor’s Center Control Room were CRAY XMP supercomputers, IBM Connection Machines, Silicon Graphics Monitors, and the Mac Quadra personal computers that housed the UNIX-based operating system being programmed by Nedry and maintained by Ray Arnold.